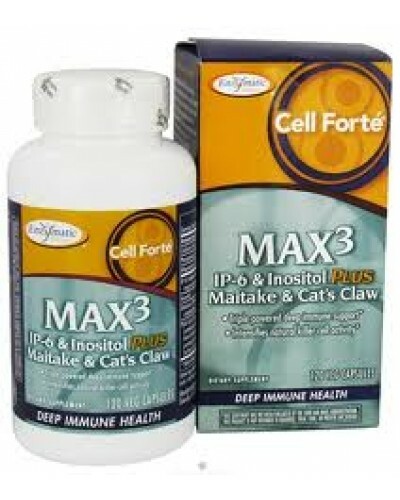 IP-6 plus Inositol, as found in Cell Forte Max3, has been scientifically shown to increase natural killer-cell activity by 58% compared to the control group. 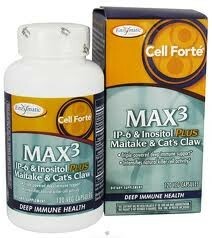 POA Cat's Claw extract, as found in Cell Forte Max3, has been clinically shown to significantly increase activity of key immune cells, B- and T-cells, by up to 82% and 137% respectively, to provide optimum deep immune support. 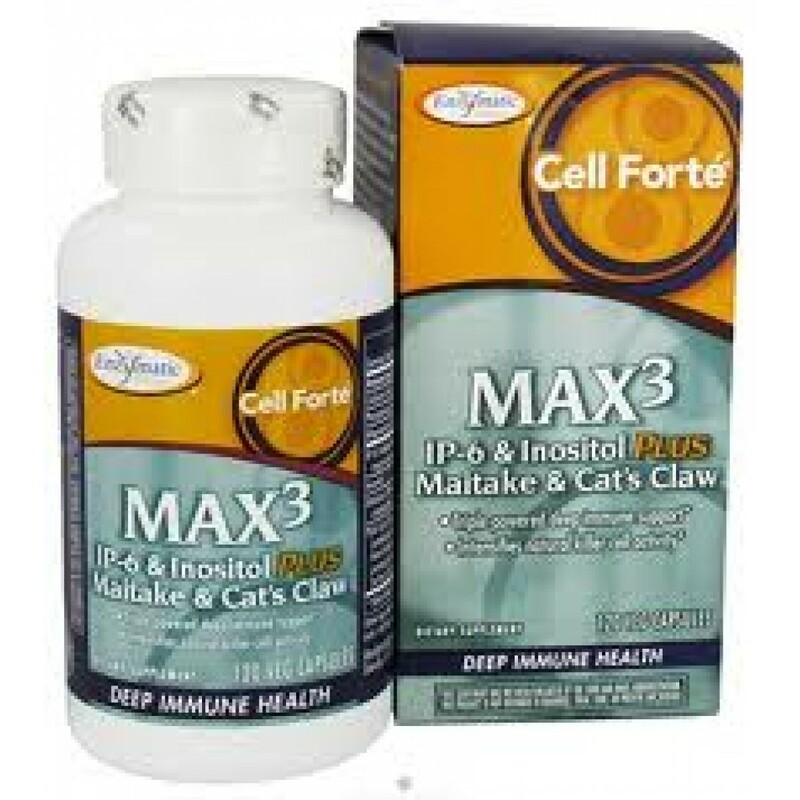 Triple-strength Cell Forte Max3 maximum deep immune support features an exclusive combination of IP-6 and inositol, maitake D-fraction, and POA Cat's Claw, which are essential to supporting healthy cell development, defending your deep immune health and delivering life-changing results. The synergistic forces of each power-packed ingredient provide superior support for the most critical cells in your immune system by amplifying your deep immune functions. Suggested Use Recommendations: Two capsules twice daily for maintenance. Best taken on an empty stomach. For maximum support, up to 16 capsules may be taken per day.